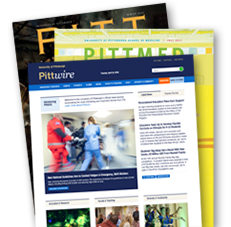 PITTSBURGH—Researchers from the University of Pittsburgh and Magee-Womens Hospital have collaborated to improve sustainable childbirth procedures, both through vaginal delivery and birth by cesarean section. The study, published online in Science of the Total Environment, is the first of its kind to examine infant birth using Life Cycle Assessment (LCA), a technique that assesses the environmental impacts associated with all stages of a product’s or procedure’s life. With the goal of improving the environment and patient quality, the interdisciplinary research team evaluated a number of medical devices and procedures used during infant birth using the four-step LCA. The major components evaluated were the heating, ventilation, and air-conditioning system in the hospital (HVAC), as well as lighting, machines, surgical instruments, and disposable custom packs (such as patient gowns and toiletries) associated with each mode of birth. This included the sterilization, decontamination, and waste segregation for disposable materials. “We found that energy consumption resulting from HVAC, the impacts of the waste involved with disposable custom packs, and the production of disposable custom packs contributed to the highest environmental impacts for both types of births,” said Bilec. By using LCA, the team was able to suggest some noteworthy recommendations to Magee, including HVAC control optimization, environmentally preferred purchasing, reduced reliance on disposable products, and modified waste management. Bilec says the Pitt team felt honored to work with Magee researchers, as they “not only deliver a tremendous number of babies,” but they have a very robust “green team” that will try and implement Pitt’s suggestions. Using information from this study, the Pitt-Magee team is now studying the environmental impacts of different modes of hysterectomies to further develop its understanding of the carbon footprint of other medical procedures. Additional researchers involved in the study were Amy Landis, an associate professor of engineering at Arizona State University, and Pitt engineering graduate students Nicole Campion, Justin Deblois, and Cassandra Thiel. Funding for this study was provided by the National Science Foundation and the National Institutes of Health.